Often this gift of discriminating taste feels more like a burden than a gift. I am acutely aware of my limited energy. Quite honestly most of my energy goes to raising my children. What energy I have left I use to help coaching clients, nurture friendships, connect with extended family and date. Over the last few years I have learned to pause and gauge how I feel with different people. Do I feel excited, energized, light? Or do I feel anxious, depleted, heavy? The more uplifting a person’s company the more time I can spend with them and the more of myself I can give. What makes a partner’s personality uplifting and generative? Intimacy. Introverts are not into small talk. We want to share emotions, feelings and ideas. Not just any emotions or feelings or ideas — meaningful ones. Physical intimacy can be energizing as well — provided it is passionate and not obligatory. Sensuality starts with the external but blooms within. Anything that heightens or encourages a positive internal experience is appealing to an introvert. Humor in a relationship goes a long way too. It’s both a physical and emotional boon. 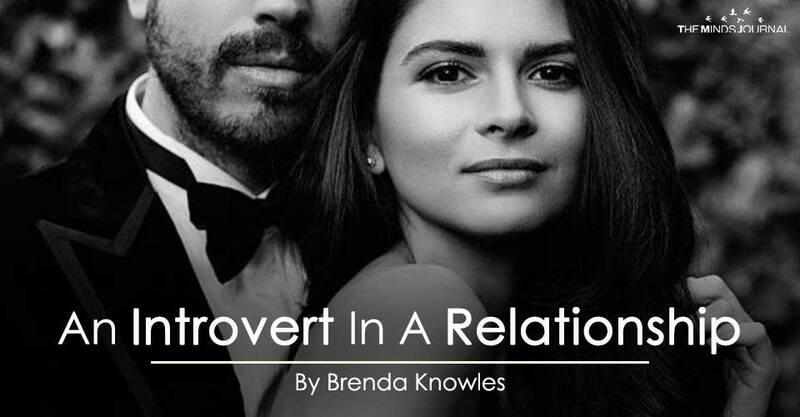 The key to a relationship with an introvert? We must be able to relax and recharge with you. Strong relationships have responsiveness (from both partners), common interests and respect for each other’s differences, so the work naturally required in any relationship, is done with minimal energy drain. Forging a relationship takes up much precious energy. Introverts generate energy from within by reflecting on ideas, thoughts, impressions and feelings. If we find someone desirable who can share what swirls within their interior, synergy occurs. We expand and are left energized rather than depleted. Carl Jung said we choose partners to expand who we are. Independence mixed with vulnerability and openness is attractive. A relationship built on personal authenticity and interdependence is ideal. Even as an introvert, I like to have a steady companion I can count on. Someone I trust and who trusts me so that we can have our own endeavors but also provide a safe haven to return to for each other. Constant drama and complaining will leave me as lifeless as a forgotten doll. Deep empathy is another trait of many introverts. If you have problems/pain in your life, I will feel for you intensely. I will want to help/show you light, which is all fine and good until I find myself in the dark with nothing left to give. Some drama and baggage is expected. We all have it. Partners take turns supporting each other, but if this gets too one-sided the introvert will deplete quickly. Negativity can weigh especially heavy on an intuitive and deeply feeling introvert’s mind and heart. If you have a penchant for criticizing or judging, then time with you will have to be limited. I absorb emotions and energy from others. I easily slip myself into their shoes and feel what they feel. Not all introverts experience this, but the more intuitive and empathic ones do.